If you’re looking for local charities to support in Roswell, Georgia, consider learning more about American Kidney Services. Since 2004, we’ve been collecting donations from generous individuals like you and giving all net proceeds to the American Kidney Fund, which helps patients with renal disease pay for basic necessities. This is an essential service because more than 26 million Americans suffer from chronic kidney disease – a condition that is physically debilitating and oftentimes requires hours-long treatments, impeding many patients from continuing their regular jobs. Some individuals may be hesitant to donate to local charities because they find the donating process tedious or complicated. 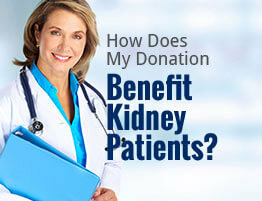 That’s why American Kidney Services strives to make donating to us as easy as possible. In fact, we’ll happily pick up your contributions right off your driveway or the curb in front of your home – all you need to do is fill out our online form. Once we receive your form, we’ll notify you of your collection date and ask that you place your items in a box or bag labeled “AKS.” You also have the option of dropping off your contributions at a local Value Village or at one of our drop boxes around town. To learn more about what sets American Kidney Services apart from other local charities in Roswell, GA, contact us today. It would be our pleasure to answer any of your questions and let you know more about the benefits of donating to our organization.